Construction Type Construction type is used to select appropriate displacement factors for the avoided carbon calculation. Please select your building's predominant construction type. Compared with other functionally equivalent buildings made of non-wood materials, wood-frame buildings typically generate less embodied GHG emissions during their life cycle. In other words, there are fewer GHG emissions associated with a wood-frame building than other building types. This difference can be quite large and can be taken as a carbon credit for the amount of CO2 emissions that were avoided (displaced) by choosing wood over other more GHG-intensive materials. Light-frame 3.9 kg CO2 equivalent avoided per kg oven-dry wood used. 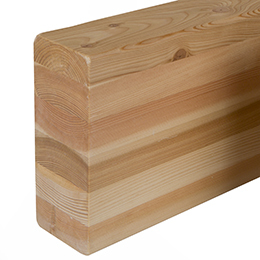 Post and beam 3.9 kg CO2 equivalent avoided per kg oven-dry wood used. Mass timber 0.71 kg CO2 equivalent avoided per kg oven-dry wood used. Combination Multiplier based on input tab. Lumber Enter volumes of lumber in any of the units shown below. Pieces should only be input once (i.e., in board feet OR linear feet OR total cubic feet OR total cubic meters). Use this tab for solid sawn dimensional lumber only. Engineered products such as i-joists and composite lumber are on the Engineered Wood Products tab. Dimensional lumber Lumber, solid-sawn from logs, and cut to standardized widths and depths (typically 2 to 5 inches thick and 2 to 12 inches wide) such as 2x4 or 2x12, planed and finished. Can't find your exact dimensions? Use a ratio (i.e. 500 bf of 2x12 can be listed as 1000 bf pf 2x6) or include it under "Unknown or varied". 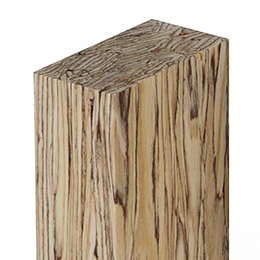 Lumber Species Species information is used to calculate density, which is used to calculate wood mass. Please enter percentage of total wood volume per species group. If unsure, use "Unknown." Lumber Species Unknown Average density of most common species, listed above. Mass Timber Enter volumes of mass timber products in any of the units shown below and in any combination. Also enter the species for each product, if known. 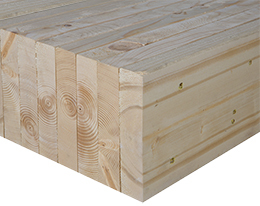 All mass timber products use a displacement factor of 0.71. Laminated veneer lumber (LVL) Engineered wood manufactured from thin parallel veneers of wood, bonded with surface adhesive-- applications include headers, beams, rim board and framing. Laminated strand lumber (LSL) Engineered wood manufactured from long, thin strands of wood oriented parallel to each other, pressed together and bonded with adhesive—applications include headers, beams, rim board and framing. 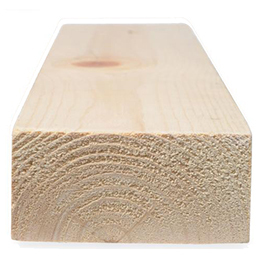 Oriented strand lumber (OSL) Engineered wood manufactured from thin strands of wood, similar to laminated strand lumber (LSL) but with higher length-to- thickness strand ratio, and pressed together and bonded with adhesive—applications include studs, beams, headers and rim board. 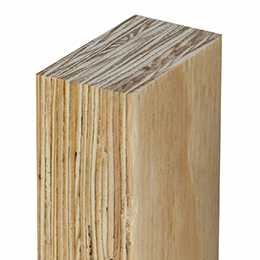 Parallel strand lumber (PSL) Engineered wood manufactured from long strands of veneer laid in parallel alignment and bonded with adhesive used for beams, headers, columns and posts. Glulam Structural timber product manufactured by gluing together pieces of lumber, arranged in horizontal layers with alternating directions — application include columns, beams and curved or tapered members. 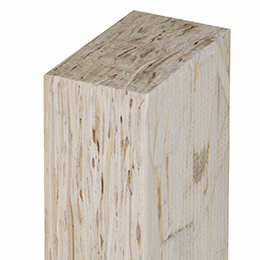 Nail-laminated timber (NLT) Panels created from dimension lumber, stacked on edge and fastened together with nails. Applications include floors, roofs, decks and elevator and stair shafts. Cross-laminated timber (CLT) Engineered wood panels manufactured by aligning lumber or planks side-by- side on edge, followed by laminating additional perpendicular layers together at right angles-- applications include floors, walls and roofs. Glulam Species Unknown Average density of most common species, listed above. NLT Species Unknown Average density of most common species, listed above. Panels Enter volumes of panels in any of the units shown below and in any combination. If unsure of panel thickness, use "Unknown". 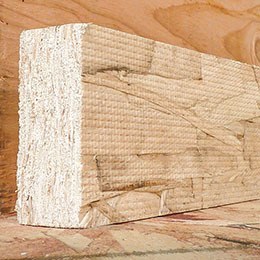 Oriented strand board (OSB) Structural panels created by bonding strands of wood in layers with adhesives. Strands are cross-oriented to improve strength and stiffness. Applications include: subflooring, single-layer flooring, wall and roof sheathing, ceiling/deck sheathing and structural insulated panels. OSB Thickness Unknown Averaged thickness of 35/64" is assumed. 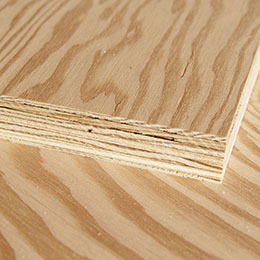 Plywood Panels manufactured by cross-laminating continuous sheets of wood veneer oriented perpendicular to each other. Applications include: subflooring, single-layer flooring, wall and roof sheathing, ceiling/deck sheathing and structural insulated panels. Plywood Thickness Unknown Averaged thickness of 35/64" is assumed. Plywood Species Unknown Average density of most common species, listed above. 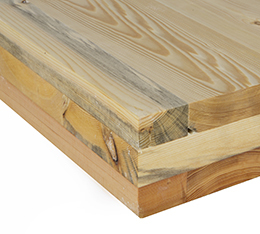 Engineered Wood Products Enter volumes of I-joists and engineered (composite) lumber. 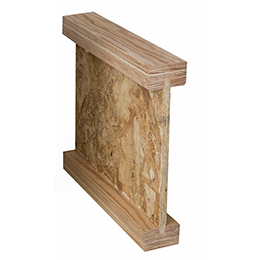 wood I-joist I shaped structural members – manufactured using LVL or lumber top and bottom flanges and an OSB web. 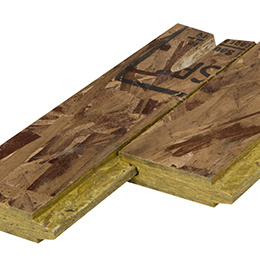 I-joists are primarily used for floor and roof framing. Average depth of 14 1/5" is assumed. Decks & Siding Enter volumes of exterior decking lumber, and siding/roofing shakes and/or shingles. Exterior wood decking Wood decking including solid sawn redwood, cedar and pressure treated lumber. Decking Thickness Unknown Averaged thickness of 1-1/2" is assumed. Decking Species Unknown Default is 100% average species density of western red cedar & spruce-pine-fir. Siding & Roofing Wood siding panels or shakes. Wood shingle roofing. Siding & Roofing Thickness Unknown Averaged thickness of 24/25" is assumed. 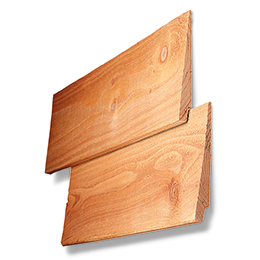 Siding & Roofing Species is assumed to be western red cedar. Results from this tool are based on wood volumes only and are estimates of carbon stored within wood products and avoided emissions resulting from the substitution of wood products for non-wood products. The results do not indicate a carbon footprint or global warming potential and are not intended to replace a detailed life cycle assessment (LCA) study. Please refer to the References & Notes (PDF) for assumptions and other information related to the calculations.